THE Econo Servo Wrapper KBF-371 available from Heat and Control is an efficient and economical horizontal wrapping machine. 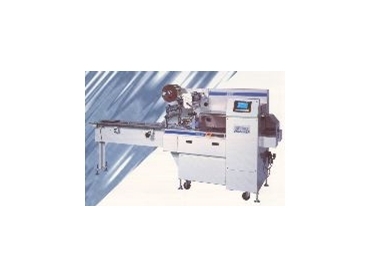 Featuring a servo motor drive system, power is transmitted smoothly over the film feed roller, pinch roller and back seal roller so that a stable film speed is maintained. The main motor is equipped with an inverter designed to enable its revolution speed to be freely adjusted with ease. The computer substrates are isolation-treated to provide stability and reliability. Designed to save space, the Econo Servo Wrapper KBF-371 is compact. In addition, it is easy to operate and maintain which will save on costs associated with these two things. Displays include: heater temperature, machine speed, bag counter, hour run meter, bag length and used bag length. It is also equipped with functions of self-diagnosis, automatic emergency stop, film end detector, heater break out and alarm sound.